Now that the crazy rush of Christmas is over & we have a little time to relax, I've been thinking about New Year's resolutions. I make a list every year & though I doubt I've ever accomplished everything on my list, I feel like goal-setting is a worthwhile endeavor anyway. Start going to Mama Fitcamp again. Trying to ignore the number on the scale & the size on my clothing tags to just focus on how being more fit makes me feel. Eat more vegetables, less sweets & even fewer meat products with nitrates in them. Downsize my fabric & craft supplies collection so I can use my sewing room properly (it's just stacked floor-to-ceiling with stuff right now). 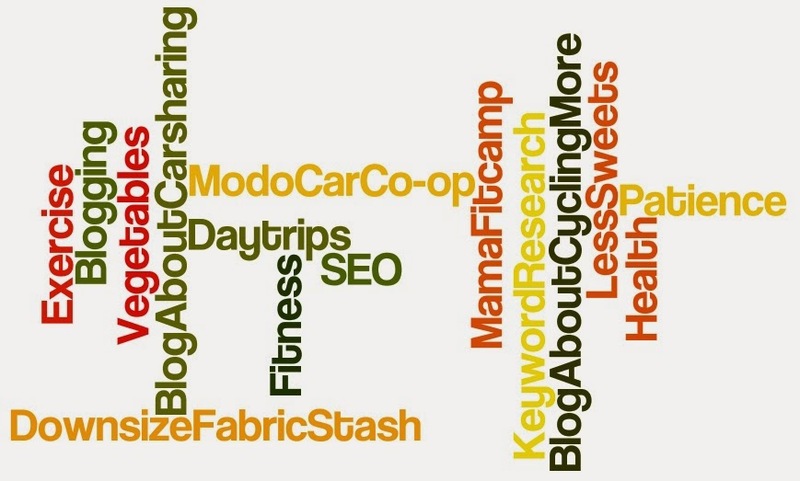 Start doing keyword research & search engine optimization on my blog posts. 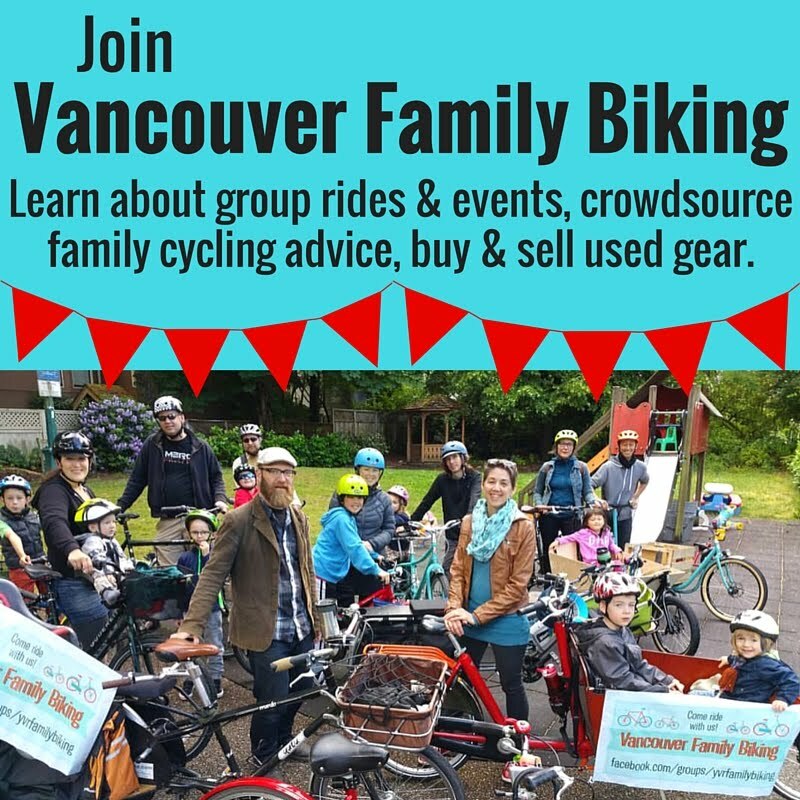 Write more about cycling & car-sharing. Be more patient with my family. Get out of the neighbourhood on day trips more often on the weekends. Living car-free means we don't tend to travel too far from home most days. However, when we've done little trips out of Vancouver proper, booking a Modo car & sometimes adding in an errand in the vicinity or on the way, it's worked out well. Be more careful with our spending. I don't feel the need to do any extreme financial dieting, just cutting back on buying things we don't necessarily need. Like clothes for the kids--they both have enough clothes that it's hard to organize it all in our little house. Nothing too too ambitious here, mostly things that I think I can accomplish along with all the work of being the main caregiver to two small children. Now I turn it over to you: did you make any resolutions this year? What are your top three?